On 12 February or so, Steve Smith and I took the RV-8 he and I (mostly he) built up to South Lake Tahoe for lunch. While there we encountered this DA40. It seems to me that Diamond is a bit unclear on the concept of parasitic drag. I can hear the boss now: "Johnson! Get over here and design some more dragulators to hang on the outside of that airplane!" On or about 7 March, cutting core foam for the third set of flaperons. The first two sets were unstable due to an unfortunate material choice. We used what looked like a fine weave bidirecional, but on closer inspection (and checking the Hexcel spec sheet), we discovered that it was more of a unidirectional, having six times the fiber in one direction as it did the other. This last set is made with light bidirectional aramid. I need a drive rib inside the flaperon where the bellcrank horn bolts onto the upper surface of the flaperon. But I didn't want to go to the hassle of tooling up for an elegant pan rib. So I hit on the idea of casting a 1" thick block of a combination of flox and microballoons, and sawing the ribs out of that. This is the result of a test to determine how hard I could torque an AN509 screw set into the stuff. The answer: harder than the torque specs in AC43.13. Test passed. Figuring how where to put the drive ribs, and how. Bonding in the drive ribs and bearing plates. On or about 21 April, Brad assembled the ship in his yard, though still minus flaperons. On or about 23 April, Alia helps break the flaperons out of the molds. On or about 16 May, fittng and adjusting the flaperons on Brad's wings. On or about 21 May, I hit up a spectacular yard sale out by Frogtown. I got a sturdy steel saw horse (which matches perfectly one I already have), a welded steel dolly with four castoring wheels, six rolls of butyl pucky tape (perfect for non-critical vac bagging), and two huge rolls of cling wrap for packing parts. All for only $20. On or about 27 May, Brad assembles the ship with flaperons in place. At this point we have pretty much all of the major and minor composite parts done and assembled. On or about 5 June, jigging up the brackets for the autoconnect funnels. 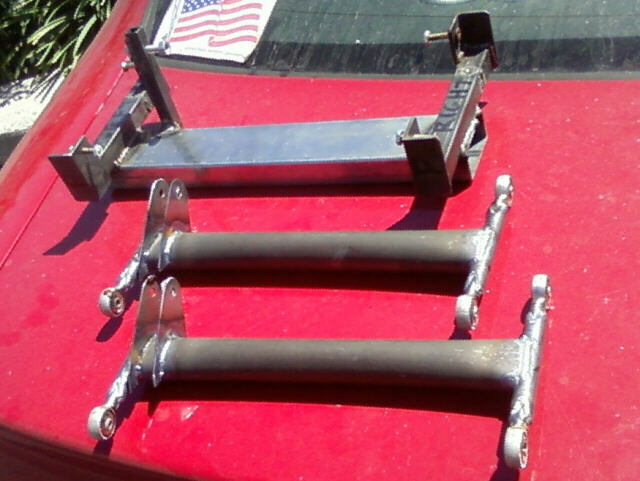 And here they are a few days later welded and delivered. On or around 16 June, we took a road trip through the northern part of California and the southern edge of Oregon. We made stops at Lava Beds National Monument, in Klamath Lake, and in Ashland. Here's my father in front of the house in Klamath Falls where he grew up in the 1930s. That's me in the lava tube that Keintpoos (AKA "Captain Jack") used as his headquarters while he and sixty others of the Modoc kept a thousand-strong army at bay for several months. Proof positive that history is written by the winners: This plaque, placed at the site of the Battle of Lost River that was the beginning of the Modoc war of 1873, commemorates the settlers who took the Modoc's land. While driving home across the Siskyou Mountains, we encountered the Team Petty Cash of 24 Hours of Lemons fame. On or about 22 June, Brad has finished the left wing. Around 26 June, seriously starting in on developing the flaperon mixer and airbrake controls On 10 July, I took Alia and Raen on a three-pitch scramble up Swan Slab Gully. This was just to get Raen some multipitch experience in advance of a planned ascent of Cathedral Peak. On 26 July I brought Raen to the shop with me, and had her finish riveting together an aluminum birdhouse that I'd started several years before. Through the months of July and August I got serious about finishing the development of the flaperon mixer and airbrake drive. Here on 2 July I brought my computer to the shop so I could go back and forth between it and the actual fuselage. On 5 July cutting the slot in a test cam to drive the flaperons. This is just an approximation of a logrithmic spiral; the actual slot profile is a lot more complicated and can really only be done with CNC machining. Around 12 July, playing around with input handle sizes, shapes, and locations. 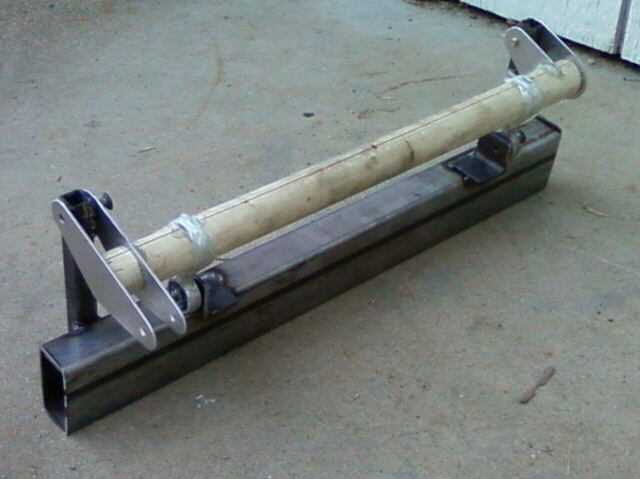 An early wooden mockup with the test cam in place. Another go at the handle shapes. Around 26 July, breadboarding the airbrake and flaperon drive on a piece of plywood. Developing the welding jig for the flap torque tube. Cutting bits of steel for the aileron torque tube. Going forward, I need to have fiddly bits like this either laser or waterjet cut; doing it by hand is a huge time sink. 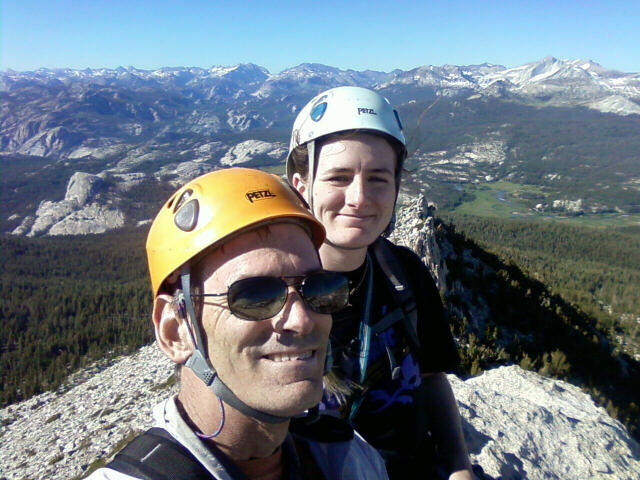 On 25 July, Alia, Raen and I climbed the southwest face of Cathedral Peak near Tuolumne Meadows. This was five pitches of fairly easy climbing, with 3.5 miles of hiking each way from and back to the car. We ran fairly late all day, and got back to the car just as it was getting dark. On 30 July we drove into Yosemite for a day of doing very little. We had breakfast at the Ahwahnee, and then did a crossword puzzle. Later that day we drove to Glacier Point. Brigitta and Raen drove the car back to the valley, I hiked down on the Four-Mile Trail (actually 4.6 miles). 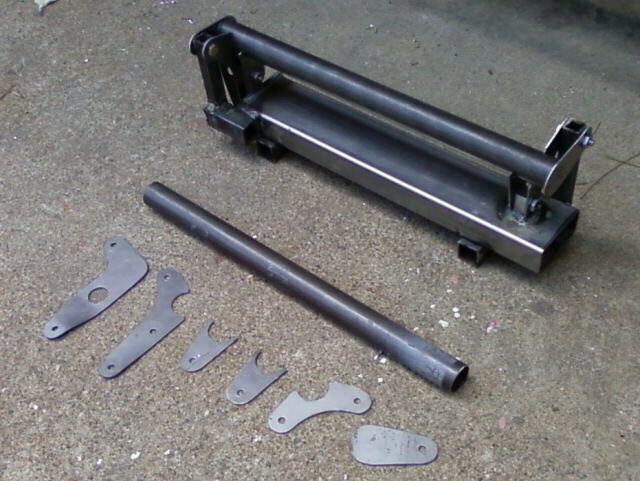 On 31 July, making the jig and parts for the aileron torque tube. And also the jig for the airbrake torque tube. On 3 August, making the first flap torque tube jig and parts for the weldment. I made special tools to get a good fit between the torque tube and the end tube that supports the pivot bearings. On 3 August, the first aileron torque tube back from the welder, along with two of the brackets that hold the flap and airbrake torque tubes onto Bulkead 5. 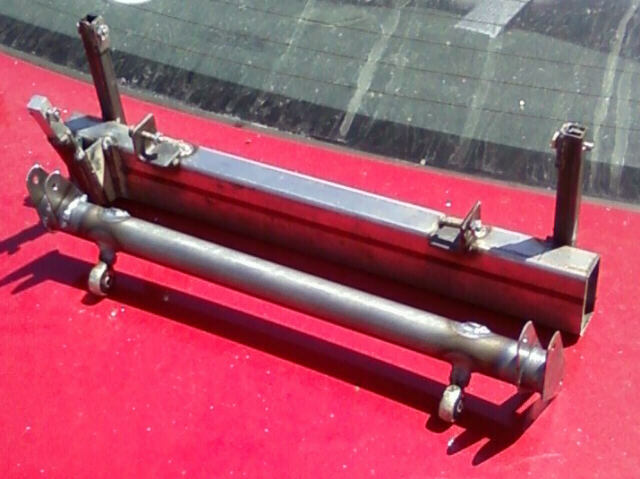 Here's the first flap torque tube. Here's how the flap torque tube supports the aileron torque tube. On 8 August, I made these brackets to support the roller that engages the flaperon drive cam. More hand-made parts that would be easier done with waterjet cutting. The first airbrake torque tube jigged up and ready for welding. The first flap torque tube of the second batch, also ready for the welder. And the second batch of flap torque tubes. Brigitta and I spent the weekend of 14 August in Las Vegas to celebrate our anniversary. We saw a couple of shows, toured Hoover Dam, and also stopped by Jean, where Jim Wynhoff took me for a ride in the club Grob 103. We stayed at the Stratosphere, because we knew it would be easy to find, and because it is just so darn tall. Here's the view straight down from the inside observation deck. We spent hours up there enjoying the view and doing crossword puzzles. As the late Marc Reisner tells it in Cadillac Desert, these generators at Hoover Dam ran at about 110% rated capacity through most of World War II, producing the electricity that powered the Southern California aircraft industry. On the dam tour we got to go through a lot of the access tunnels inside the dam. Brigitta is at a ventilation grille in the face of the dam. The new Interstate 93 bridge seen from the top of the dam, which was where Interstate 93 used to run. The bridge itself offers a fairly poor vantage; the K rails are so high that you can't see over them from anything but a bus or tall van. One of two art deco statues commemorating the dam; they were a pleasant surprise. After touring the dam, we drove out to Jean, where Jim Wynhoff took me up in the club ASK-21. He took this photo to prove that I can actually fly a glider. It was a pretty darn good day. Driving back from Jean, we encountered this crossover factory prototype in Beatty, Nevada. On 18 August, the parts for the flaperon cam roller. Except for the needle bearing roller at the bottom, these are all custom parts that I had to make on the lathe. The cam follower roller assembled to its support bracket. On 21 August, getting closer to the final version of the flaperon and airbrake mechanism. In this photo I still haven't installed the waterjet-cut flaperon cam. You can also track the project on Facebook. In fact, that's probably the best way to see what's new.